A study by the National Highway Traffic Safety Administration (NHTSA) found that about 34% of the occupants in a motor vehicle accident will have minor to severe injuries. Although it was once thought that accident recovery was almost immediate, we now know that a significant number of individuals can be symptomatic for many months during an auto accident recovery. At PrimeMed, we specialize in the diagnosis and treatment of injuries sustained in automobile accidents. 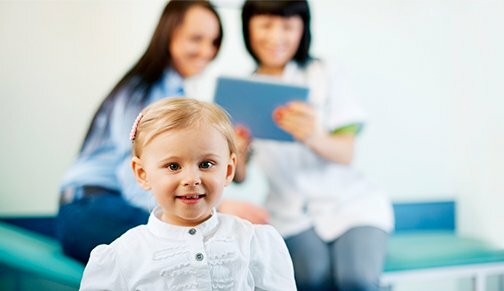 Everything you need for rehabilitation and medical care, such as manual therapy techniques or physical therapy, in one convenient multi-service practice that specializes in whole body health. Our physicians are highly proficient in the diagnosis of accident injuries and provide our patients with the most comprehensive medical treatments to include understanding the special circumstances of each individual patient. If you or a loved one has been in a motor vehicle accident, there is no reason to suffer with crash-related trauma. Most people think nagging injuries from an accident will subside in a few days, the truth is medical intervention can facilitate surprising quick relief and recover. When you visit our office, you will receive a thorough examination and detailed consultation to give you a clear understanding of your injuries and expected recovery times. When required, we will utilize the latest physical therapy protocols and procedures to maximize your healing through a complete recovery. Someone in the United States is injured every six seconds in a motor vehicle accident and the symptoms of the car accident injuries may not show up for days or weeks following the mishap. When left untreated or poorly treated due to a lack of knowledgeable medical attention, these types of hidden injuries can result in a lifetime of problems, individual suffering, and unnecessary stress. In some accident recovery cases, improperly treated injuries or a lack of physical therapy can be major contributor to long-term health care issues such as degenerative disc disease or the premature onset of osteoarthritis even though the results of a post-accident x-ray may have been negative. NOTE: Don't take chances with your health and well-being following a motor vehicle accident. Contact our office for same-day medical attention or therapeutic services.